Da Hong Pao Wu Yi Rock Oolong Tea is the king of the Famous Five Rock Teas in the WuYi Mountain of China. Da Hong Pao Oolong Tea will be a perfect choice for people who want to discover Wuyi Rock teas or for oolong lovers. Exceptionally delicious and can feel the sweet aftertaste in your throat. Theres two different grades for 2007 Da Hong Pao. Each grade has it own characteristic. 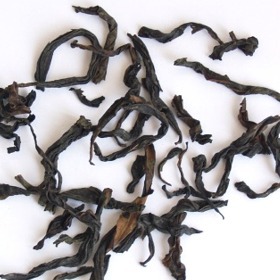 Additionally, we also have our well known Exquisite Da Hong Pao at loose packaging now. We specially ordered this tea during our Wuyi trip in August 2007. This special loose packaging is not available else. Just select the [E] option under Price & Size for the exquisite Da Hong Pao. Tips: Try drinking some water after drinking Da Hong Pao Oolong Tea. You will feel a special sweet aftertaste in your mouth and throat. great tea, complex taste and florar aftertaste... slightly sweet. This tea produced a mellow, honeyed liquor of medium strength. I really enjoyed it and will repurchase. Imperial Da Hong Pao is the best DHP. Good clarity, lasting sweet aftertaste, strong aroma. Highly recommended. The word "Exquisite" doesnt cover it, this is truly the best da hong pao Ive ever had, even compared to the Wuyi-Star brand imperial grade stuff that comes in small packages for about the same price. This is definitely one to get for those special occasions, I cant recommend it enough. This is a great Da Hong Pao; its really quite special. It has good flavor, and lasts many infusions. I purchased the [B] quality not really knowing the difference between it and the regular. But at only a slight increase I thought maybe it was worth it. The quality seems to be quite good, and the taste is nice, but it was not what I was expecting from a WuYi. I have never had a DHP before, but my previous WuYi tasted a lot like dried fruit, whereas this tea is more grassy and floral but in a different way than green teas. While there is almost nothing bad about this tea, considering the price for many other teas I enjoy just as much or more is half the price...I would be hesitant to order this one again. One of the most unusual teas I have ever tasted. Very mineral or mineral salt flavor that is quite pronounced. First cup was very off-putting. Second time was interesting since I knew what to expect. Now I like to have a cup every other day or so. Quite refreshing in a strange way. This is one that if you try it a few times will grow on you. Not for the timid drinker.